The most magical Summer Solstice Eve I ever had was at Chanctonbury Ring, an ancient sacred place in West Sussex, four months before the historic circle of beech trees was devastated in the Great Storm of 1987. 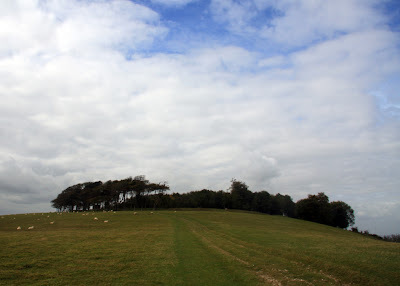 The trees of Chanctonbury Ring were planted to outline the earth banks of an Iron Age hill fort on top of Chanctonbury Hill, on the South Downs. 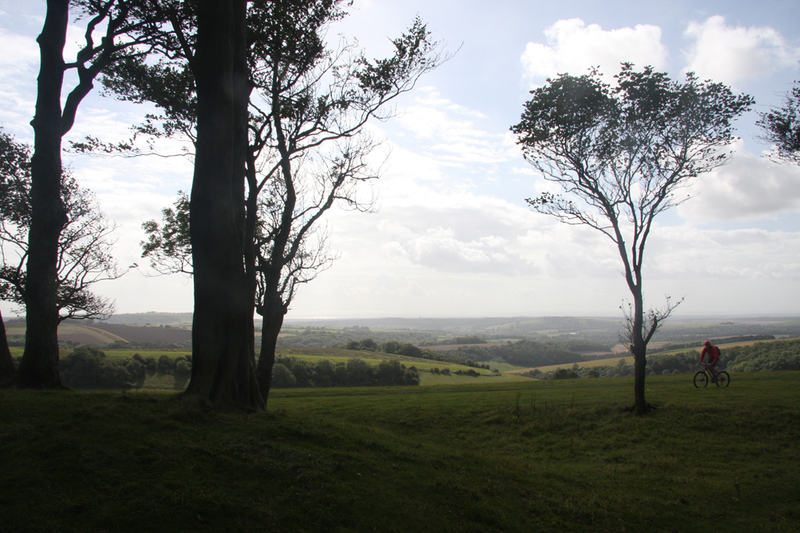 Archaeologists have found evidence of two pagan temples at Chanctonbury Ring, one Roman and one Romano-British. That Solstice it certainly seemed a very sacred landscape, a place where the Ancient Gods might rest and, on Midsummer Eve, the gates to Fairyland might be found open. That summer 25 years ago we had been blessed with sunny days and clear skies. The sun shone and butterflies fluttered through banks of wild flowers as my partner and I climbed the steep, grassy slopes to the summit of the hill late in the afternoon. When we reached the cool shade of the ring of trees, we found we were not the only people there to watch the sun set, then stay the vigil through the shortest night to celebrate the sunrise on the longest day of the year. But there was such a sense of peace and calm; reverence for nature and our right to honour Her. Slowly the sun turned red-gold as it lowered and set in a sky of pinks and purples, that turned at last to darkest blue. People sat quietly and meditated in private or conducted what rituals they wanted to do undisturbed. Words were spoken in hushed voices as though in any church or temple built by man. A few played music - but soft, gentle music on acoustic guitars and wind instruments - not banging loud drums. Some passed cups of wine - my partner had brought mead - but this was no rowdy party, this was sacred space and we all felt some unspoken understanding that it should be respected. Tiny spots of light from the glow of fireflies in the sea of grass on the downs below us seemed to mirror the twinkling stars in the nocturnal sky above. The night was warm, although my partner and I wrapped a blanket over our shoulders as we sat and listened to the sounds of the night, and said silent prayers to the spirits of the place and the ancient gods of the land. After a while, I slept briefly. My partner prodded me awake before the dawn. In silence we stood and watched the sun rise in splendour on the morning of the Summer Solstice. Walking back down the hill through the morning dew, I knew that I had been present at a special moment in time - one that would never quite be repeated. And I was right. On the night of 15 to 16 October 1987, a hurricane-force storm swept across Southern England, destroying property and ancient woodland alike. The beautiful ring of beeches on Chanctonbury Hill was no more. 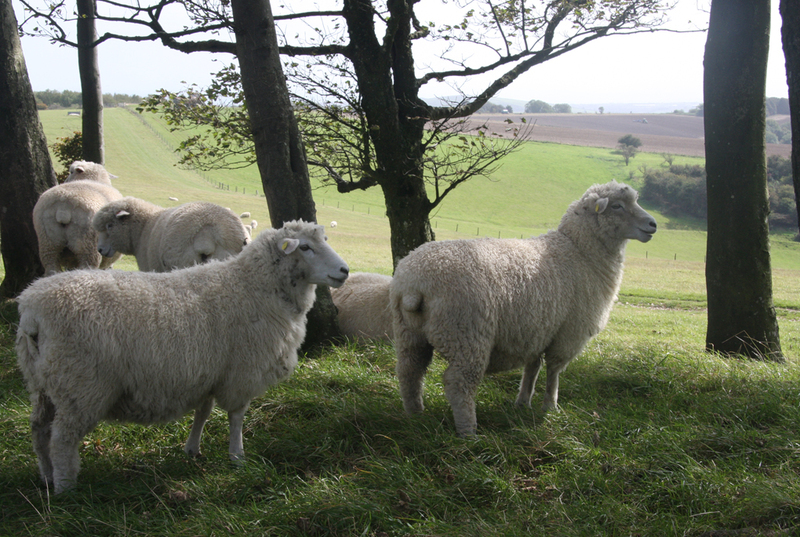 I felt so upset when I heard about the devastation that I couldn't bear to return to Chanctonbury Ring for many, many years. 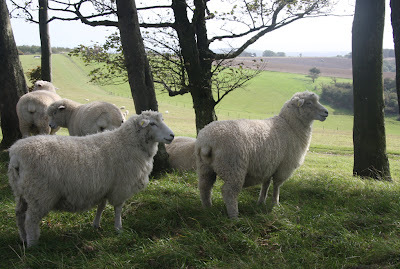 But, late last summer, I decided to go there again on a walk over the South Downs Way - and I took the pictures you can see above and below. New trees that were planted after the disaster have already grown tall and the site is nearly how I remember it being on that glorious Summer Solstice Eve before the storm.